To establish holistic and agile learning solutions, companies operate with custom-made content in a learning management system they can administer by themselves. ILT Solutions and Coursepath are offering flexible combinations in that field. 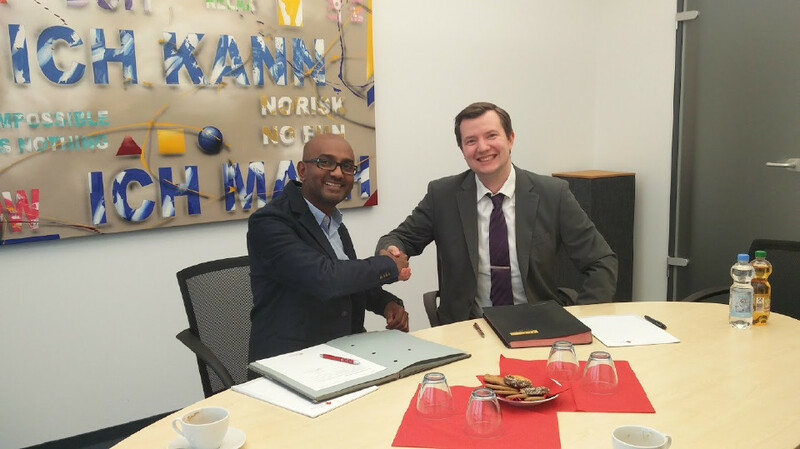 A new cooperation between the eLearning provider ILT Solutions and the Coursepath learning management system (LMS) offers a fast and tailor-made access to eLearning for employees and partners. Professionally built learning content is complemented in the learning platform with options to edit and design. Thereby, further education and the much asked-for flexibility in learning are promoted and facilitated. Self-reliant learning with modern methods and content, that is well adapted to the target group, are necessary for training success. Furthermore, it is a way to create acceptance and sustainability in a company’s training projects. Many enterprises are using a combination of on- and offline methods, also known as Blended Learning. The cooperation of Coursepath and ILT Solutions however is going even further than that. Web-based trainings (WBTs) encounter a customizable platform, that is able to transfer knowledge verifiably to groups of participants and enables the course designers to make changes and add to the content whenever it is necessary. “Our goal for modern eLearning is not the installation of rigid systems, but the flexible integration of diverse training elements and technologies, according to the actual demand. We are pursuing this agile approach with our partner ILT Solutions and are certain to be able to deliver a holistic and sustainable solution parcel to our customers” explains Coursepaths’ managing director Mujibor de Graaf. 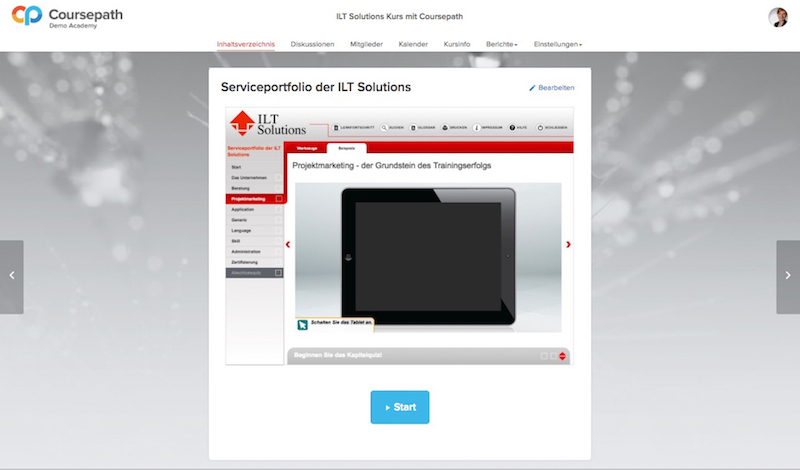 ILT Solutions works with various systems and recommends a suitable learning platform individually to their customers. Coursepaths’ advantages are its modern, user-friendly handling, its reliability and mobility. Additionally, the platform is open for all types of content. ILT Solutions complements the platform with the creation of innovative, first-class WBTs, that are designed to spark the highest possible learning motivation in the participants. This is achieved through the integration of video, animation, interactivity and playful elements, amongst other things. All functions of both providers can be connected, so that a seamless process of the integrated content is granted. Customers are also able to let ILT Solutions produce only a part of the courses and create additional modules by themselves. The flexibility of the cooperation partners and technical interfaces allow for customer-centered individual offers. ILT Solutions as blended learning consultancy and full-service eLearning provider is your professional partner for the conception and creation of educational strategies. Our approach is to create highly motivational, sustainable trainings for all conceivable training demands.